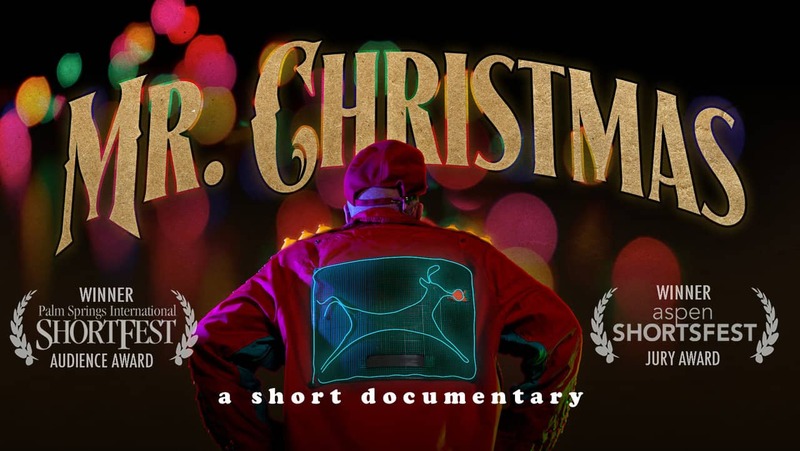 Mr. Christmas is a short documentary about Bruce Mertz, a retired electrician in Concord, California who spent more than three decades building elaborate holiday light displays in his yard. At a cursory glance, his display wasn't much more impressive than hundreds of other throughout the country: there were animated displays, a large number of bulbs, and the whole thing was synced to music - we've seen things like that. What set Mertz apart from those wasn't scale - his yard was modest-sized, even if he filled it with lights - it was artistry. The documentary only provides a brief look at how he built and maintained his display, but it's incredible to see. There's no laptop managing the whole thing: it's all done using analog dials and timers. And all the pieces were made by Mertz himself, down to the paint covering the lights (he wasn't satisfied with the longevity of the color on store-bought lights, so he developed his own paint mixture). The documentary also gives us a little information on Mertz himself. He grew up on a farm without electrical power before joining the military and becoming an electrician. He became seriously invested on the lighting display after his wife passed away. There's also a bit of drama around a mistaken case of cat identity, when he thought his pet had been killed by a garbage truck, buried it, and later discovered it alive. 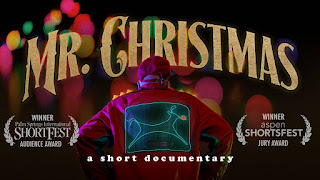 It's a cute documentary about an eccentric local celebrity and artist (though I doubt he'd use the word to describe himself) who devoted a huge amount of time to the holidays and created something wonderful. He reminds me of the clock-makers populating old movies: quirky, bizarre, but brilliant. Only his clockwork creation occupies his entire yard. We found this on Hulu, but it looks like it's also on Vimeo. I'd recommend this to anyone with a love of Christmas lights, as well as those of you who are fans of steampunk or related genres. The astonishing complexity of the gears and timer, coupled with the scale of his operation, are about as close as you're going to find in the real world. And at just fifteen minutes, it won't eat up much of your time.